Be the first to hear about their new releases and deals. 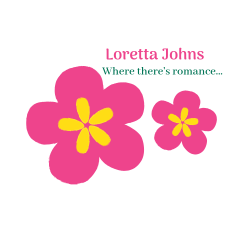 Download the Booksprout app and search for Loretta Johns today! Hi! I'm a housewife with her head usually in the clouds, dreaming of romance and far away places. One day, I thought, why not write them down? So here we are. I hope you enjoy hot men, gutsy women, and happily ever afters because that's what you'll get from me.